It is my pleasure as President of the Irish Rugby Football Union to extend my best wishes to your President Sharon O’Buachalla and the members of Skerries RFC for the 2017/18 season and in particular your campaign in the Ulster Bank League. Irish rugby’s premier inter-club competition is now in its 28th season and continues to strengthen in its appeal and popularity. That the Ulster Bank League plays an important and positive role in the IRFU’s domestic rugby programme is further highlighted by the increasing number of talented, ambitious young players who are emerging from the club scene to gain recognition at Provincial and National team level and on the Ireland Sevens’ teams. In its five division format, played on a home and away basis, greater interest is being generated and this has resulted in improved attendances in many clubs on big match days, further helped by the increase in the number of appealing “Friday Night Lights’’ fixtures. 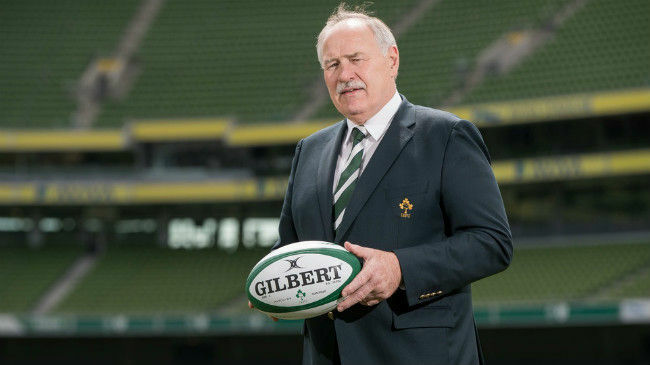 I am delighted on behalf of the IRFU for this opportunity to recognise and thank the huge army of volunteers for their commitment each season in the cause of their respective clubs. As Union President, I assure you that your selfless contribution to club rugby is acknowledged and greatly appreciated at Union and Branch levels. As I share with you the exciting prospect of another stirring Ulster Bank League campaign, I outline the gratitude of the Union to Ulster Bank, the IRFU’s Community Rugby programme partners. In addition to the League, its sponsorship also includes the Club International side, the Ulster Bank Bateman Cup, the Ulster Bank All Ireland Junior Cup and the Ulster Bank RugbyForce initiative. Throughout the 2017/18 Ulster Bank League campaign: news updates, fixtures and tables will be available on www.irishrugby.ie/ulsterbankleague; on the Ulster Bank’s Facebook page – www.facebook.com/UlsterBankRugby and the results on twitter@UlsterBankRugby. In addition, Irish Rugby TV will be broadcasting live games and highlights from matches on You Tube. Meantime, good luck and best wishes throughout the season. It promises to be another memorable one for club rugby.